Notables that failed to qualify in 450SX: Phil Nicoletti, Ben LaMay, Cody Gilmore, Weston Peick, Les Smith, Tevin Tapia, Robert Kiniry and Kyle Partridge. 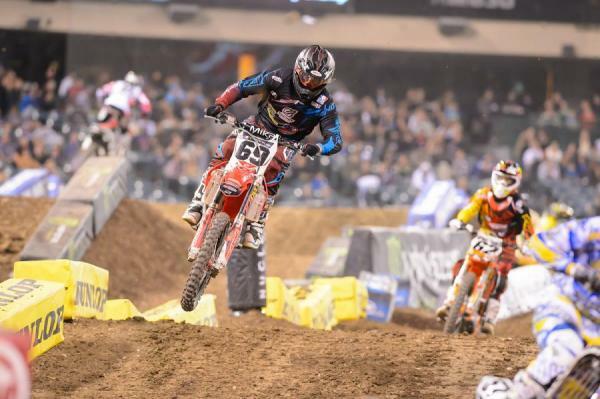 Congrats to South Carolina native and Rocket Exhaust's PJ Larsen for qualifying for his first career 450 main event. The 2008 Horizon Award winner would finish the night 16th. N-Fab/Ti-Lube Yamaha's Chris Blose made his first main since Anaheim 2 -- marking his second main of the year. The Arizona native would finish the night 19th. PJ Larsen qualified for his first 450 main of his career at A3. JAB Motorsports Matt Lemoine -- who's qualified for every main in his rookie 450 year -- achieved a 450 career-high 11th at Anaheim 3. It appeared that BTOSports.com KTM's Matt Goerke was heading toward another top-ten finish in the main when Ryan Villopoto ran into him late, dropping him down to 11th, and also putting a hole in his clutch cover. Notables that failed to qualify in 250SX: Tyla Rattray, Malcolm Stewart, Dillan Epstein, Killy Rusk, Chris Plouffe and Ricky Dietrich. Tyla Rattray failed to qualify for the main at A3. Congrats to privateer Tyler Bereman and Derek Anderson on making their first career 250 main at A3. The duo would finish 19th (Bereman) and 20th (Anderson), respectively. Tune into Racer X Online later this week to hear more from Bereman and Anderson. International Flavor: Australian Kade Mosig and Brazilian Jean Carlos Ramos made consecutive mains for the first time in 2013. And with his 17th place finish Ramos moved inside the top twenty in points -- currently 20th. Monster Energy/Tedder Racing's Dakota Tedder and 51Fifty Energy Honda's Scott Champion returned to the main for the first time since A2. Champion would finish the night 15th, while Tedder would take home 18th. 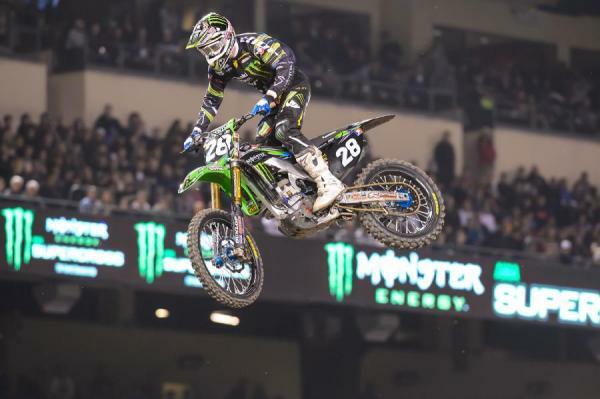 Joey Savatgy will take the top rookie honors into San Diego. HRT Honda's Austin Politelli matched his career-high 8th at A3, just one week after setting it in Oakland. Politelli is now 13th in points, just ten back of rookie Jessy Nelson. 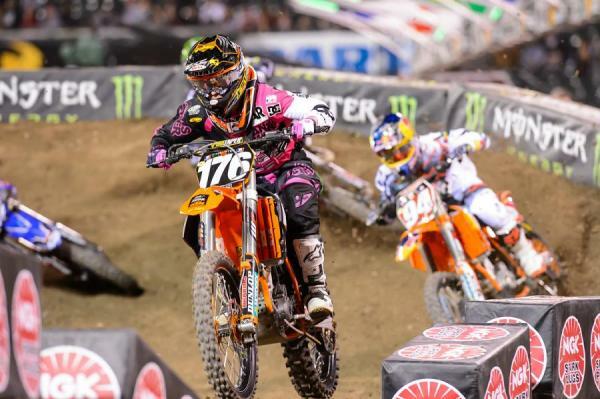 Speaking of Nelson, he and J-Star/JDR KTM's Joey Savatgy continue to battle it out for top rookie honors. Savatgy (9th in points) currently leads Nelson (10th in points) by three.